Olamide is back with the music video for his latest newest banger "Woske," produced by Killertunes. The Nigerian MC, who released the catchy single "Poverty Die" at the end of the last year, switches things up on "Woske," which is an upbeat, dance track, made for a club atmosphere. 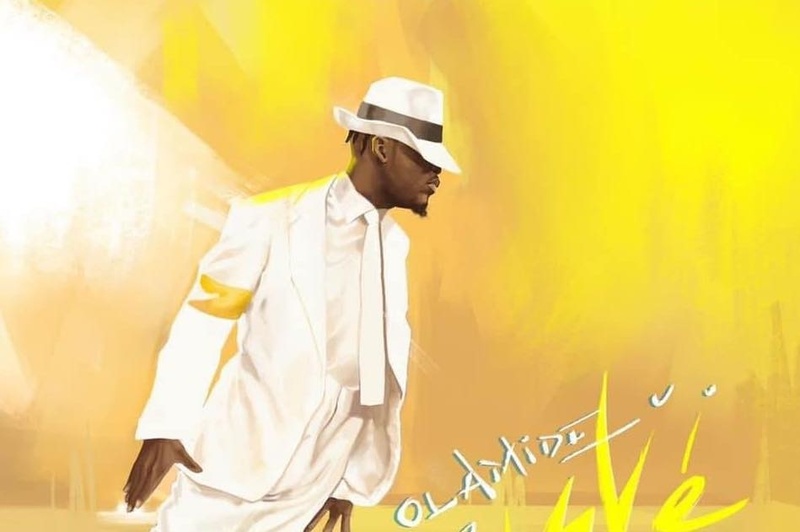 Olamide makes this clear in the song's colorful, 1920's-inspired music video, as the rapper—dressed in a white suite and fedora—hits the club where he shows off some choreographed dance moves. The video's fun, low-budget movie-feel makes for some quality entertainment. Boity, the South African TV presenter and actress, who made the decision to become a rapper last year, has a new song. Titled "Bakae," the new single sees her drop further flexes lyrically over an eardrum-shattering trap beat. Pulling another tool out of her mysterious arsenal, she spits some SeTswana lines, as opposed to her previous single "Wuz Dat?" "Bakae" is produced by the trio Ganja Beatz, and is a banger of note with serious potential. Listening to it, though, we can't help but hear Reason, who is credited as a composer in the song—from the cadences to the style of hooks and writing style. Odunsi marks the conclusion of his UK tour, which saw him play shows across London, Manchester and Birmingham, with this new single "Tipsy." The song is the buzzing Nigerian artist's first release of 2019 and sees him linking up with London singer RAYE over a alluring synths and minimal beat work. In the song, the artists play two sides of a story about drunken seduction as they call and text each other while out on the town. Cape Town-based neo soul quartet, Seba Kaapstad, just signed to US indie label Mello Music Group, which is home to the likes of Chris Quele, Oddisee, Apollo Brown and a whole lot more. Band members Seba, Manana, Zoë Modiga and Pheel hail from South Africa and Swaziland, and are all solo artists in their own right. The most prominent of the members is, of course, jazz maestro Zoë Modiga, who's a mainstay in the country's rich and thriving jazz scene. "Breathe," which is the crew's first single under the label, seems to be a universal message to the insomniac slashies that we've all become. We live in a world where we have to work our asses off to live a comfortable life. Max Rambhojan's big record, "Tou't Jou Pa Min'm," reached its highest popularity during the 1986 World Cup, when its music video often played during half-time breaks on TV stations in the Caribbean island of Guadeloupe. The highly-infectious song showcased a style known as 'Zouk Chiré,' an energetic and high-tempo version of Zouk music influenced by Guadeloupe's carnival drum bands. Labels Secousse and Hot Mule Records are now reissuing four gems from Max Rambhojan's catalog. Tuareg songwriter/guitarist Mdou Moctar—who you may remember from his Nigerien remake of Prince's Purple Rain— drops "Wiwarsharnine," the latest single from his upcoming album Ilana (The Creator), due March 29 on Sahel Sounds. In his typical desert rock style, Moctar's "Wiwarsharnine" is an entrancing blend of intertwining guitar riffs and powerful percussion. South African hip-hop duo B3nchMarQ recently released a music video for "Left The City," the opening song for their debut album, 2018's We Had Hope. In the track, the rappers chronicle their personal growth and their adventures in the industry. Coming into their album, B3nchMarQ had a lot to get off their chests. Their highly publicized departure from the label Ambitiouz Entertainment was still lingering above their heads. The album's title may or may not be making a reference to their short-lived relationship with the label. The Intergalactic Republic of Kongo are a London-based afro-punk experiment built on psychedelic synths, Africa '70-influenced percussion, and chanting group refrains. The group just released "I Don't Need," their first single since joining Wolf Tone Records. "I wrote 'I Don't Need' broken-hearted," explains the band's Moroccan frontman Mike Title. "It's the moment you're staring into the eyes ofanyone who's already left. It's the vicious lights and drowning sensation of freedom when all you desire is hope - and all you ever get is self-destruction." Senegalese-American artist Moha comes through with the soothing ballad "Lady," off his upcoming EP FIT. upcoming EP FIT. "'I love you for wanting to be honest and open with me, but I hate everything you just said,' that is what's at the core of 'Lady,'" mentions Moha. "This song was inspired by a conversation with my girlfriend at the time where she decided to share some of her story with me. I guess certain details are better left unsaid." Brooklyn-based, Nigerian artist Eli Fola is a multi-instrumentalist in every sense of the word. The DJ, producer and saxophonist is now back with "Royalty," a striking new single and music video that depicts the multiple, beautiful dimensions of blackness.